Tuesday is here! 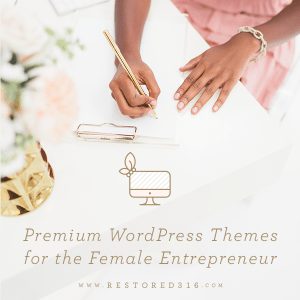 Are you ready for a new SIMPLE makeover? 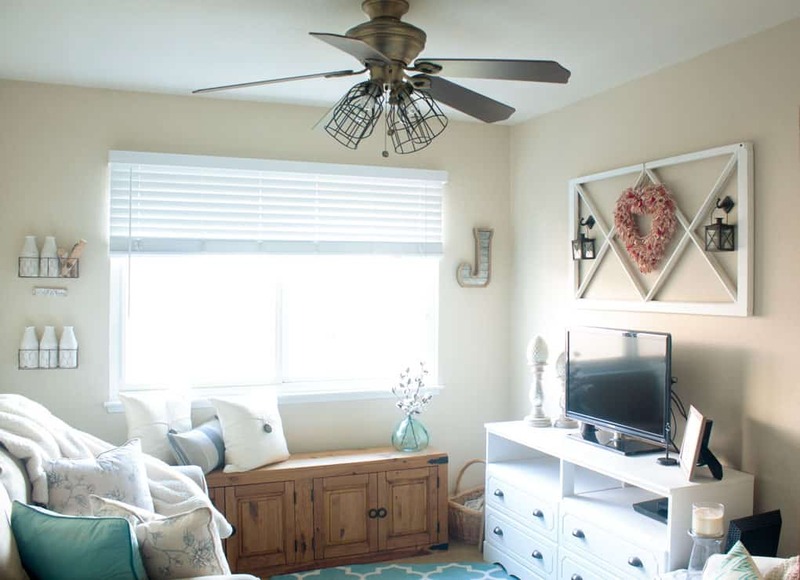 This outdated ceiling fan gets a farmhouse style makeover! Living in a rental home creates some… let’s say *interesting* decor challenges. The ceiling fan in My Wee Abode has been an ‘eye-sore’ since I moved in two years ago. Old dated shades, fan blades that were just an awful color, and even the base color is (was) not my fave. Not only did the aesthetics bother me, but it gave off an awful yellow cast to my whole living area… AND kitchen! Something needed to be done, and it had to be done with a budget AND not compromise the whole fan (because my landlord might not like it!) 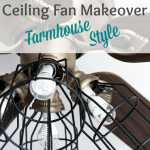 So, to do a ceiling fan makeover with farmhouse style was the answer! Let’s get started! I know I have shown quite a few pics of my living area…Rest assured, My Wee Abode’s other rooms will soon be shared. There just happens to be a lot projects going on in the living room right now. 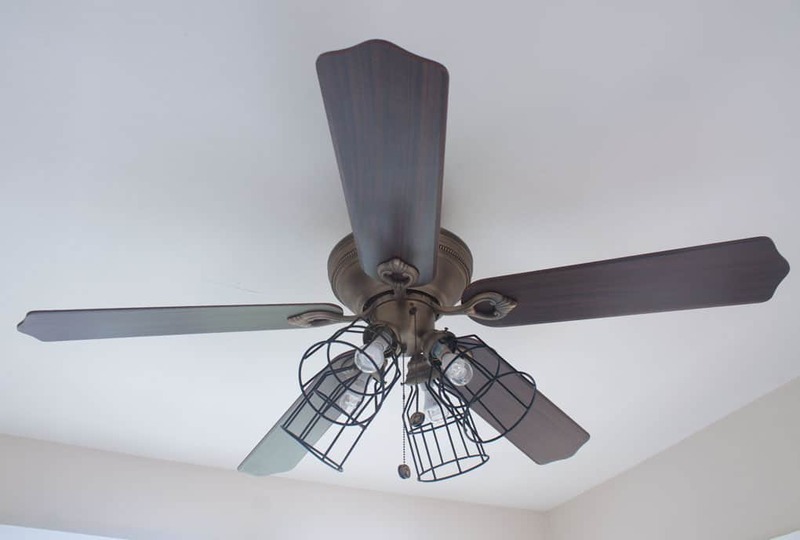 So, here is a before pic, with the ever-so-lovely dated ceiling fan. Yep… that is a red colored ‘wood’… Don’t ask me… I have NO idea. It was here when I arrived. And, yep, cream-colored, almost yellow, glass shades. Yeah (cringe)… let’s just start the makeover, shall we? BTW, my makeover was inspired, in large part, by my sweet friend, Roxanne, at The Honeycomb Home! I had originally started contemplating this project about six months ago. 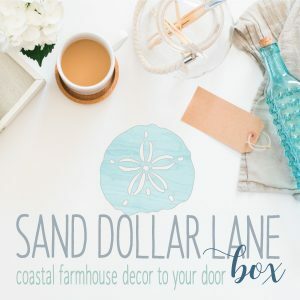 I wanted to paint the fan blades to coordinate with my coastal-farmhouse style, and I also wanted to replace the ugly dated glass shades with cage shades. So, I went on the hunt for some affordable shades. I soon realized that cage shades come in many different diameters (is that the right word?). I needed four (4) shades that, after installation, would not end up bumping into each other. So, be sure to check this measurement, at the top 3-4 inches of the shade, to make sure they will all fit without overcrowding. First take the shades off the fan. This will avoid any mishaps while removing the blades (and, noooo, I didn’t break any shades… really, believe it or not, I didn’t.) Next, remove the blades. 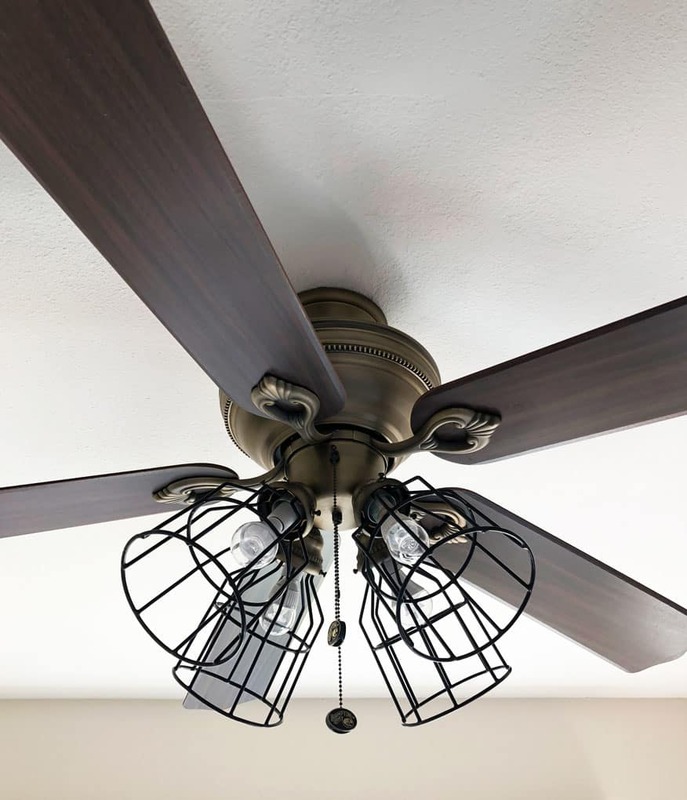 This can vary with different ceiling fans, but with mine, it was as easy as unscrewing three (3) screws on the top side of the blades. My blades did ‘stick’ a bit, but I just simply used a small putty knife (a butter knife would work well, too), and slid it between the blade and the element that holds the blade, and gently popping it off. Some of the blades came off with the rubber washers attached (see pic), and the other washers were left behind on the fan. Again, just gently peel these off the blade and replace them when re-installing the blades. Take this opportunity to give the blades a good washing. 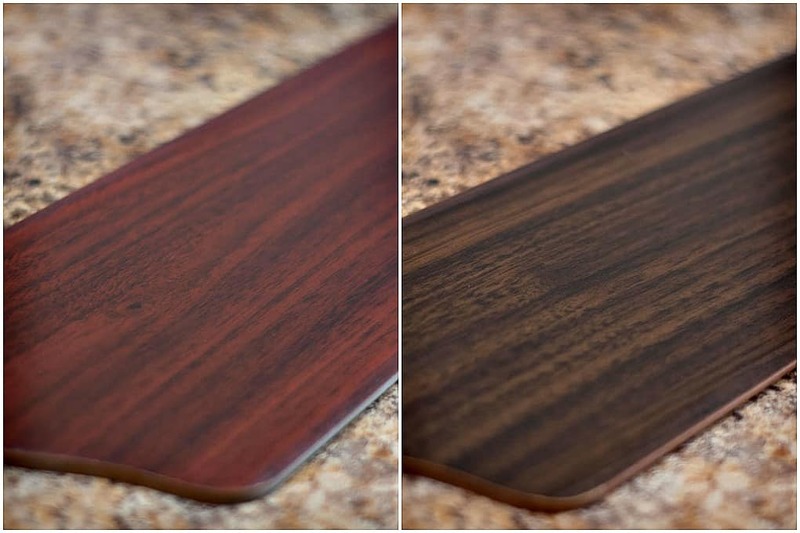 While washing my blades, I turned the blade over and was pleasantly surprised to discover a different color ‘wood’! It wasn’t *exactly* what I had envisioned, but it was pretty pickin’ close, and I was happy to not have to re-paint the blades! 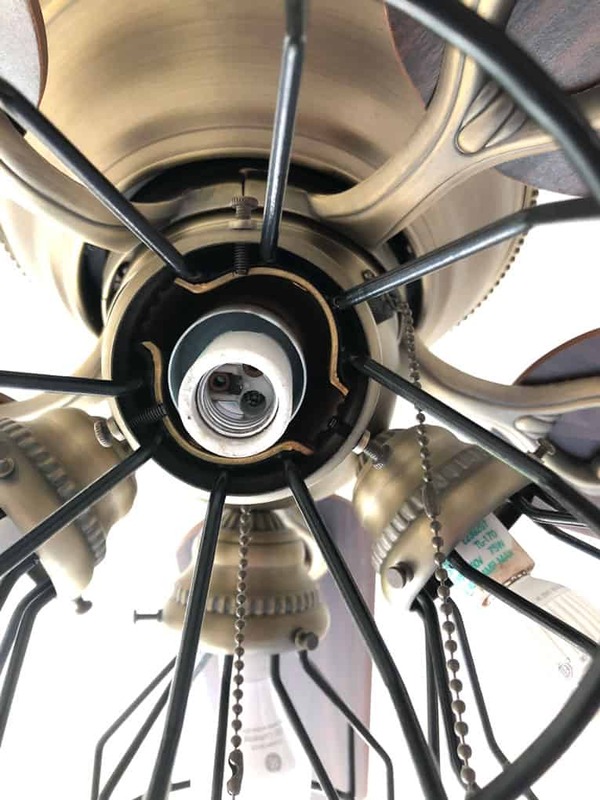 I recalled that this was true of many ceiling fans (at least in years gone by), so, if you aren’t happy with the current color on your ceiling fan blades, take a look to see if there is another color on the other side! 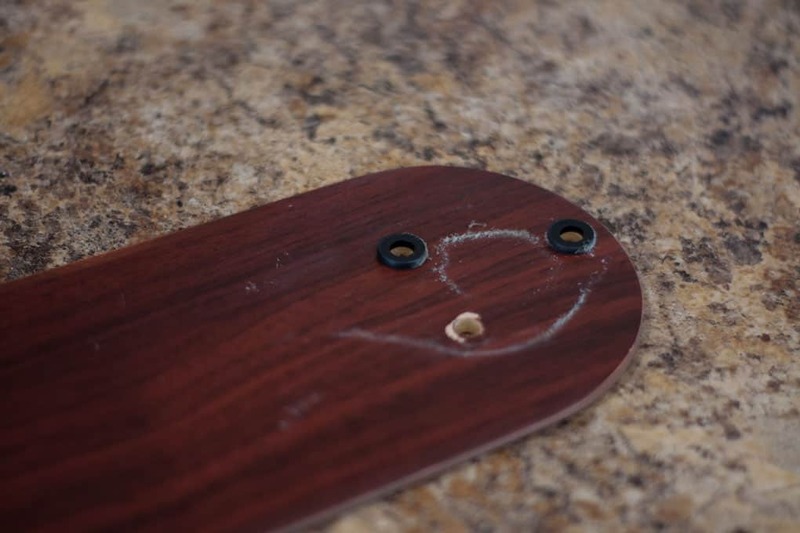 After cleaning the blades, replace them, making sure to replace the washers, too! Now the shades can be replaced. With my ceiling fan, I simply took the neck of the shade (where I cut the tabs off) and pulled the very top of the sides apart. 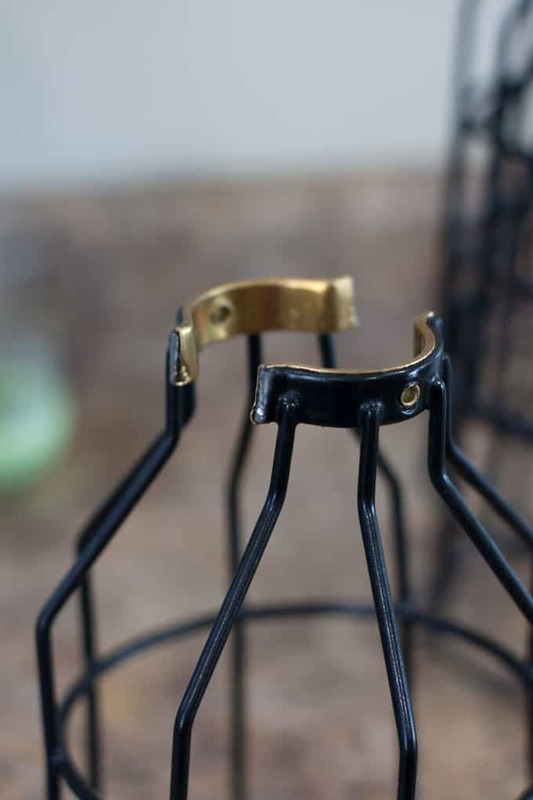 I then put them into the shade holder, squeezed the sides together, inserted them in the cup (between the cup and the ballast ring) and then released it. The tension of the neck on the shade against the decorative cup worked perfectly! Then, I just screwed the shade screws (that are on the shade cup) under the neck in order to ensure the shades would not fall out (again, see the pic for details). I am so pleased with how this turned out. I wasn’t so sure about the ballasts being exposed, but I kinda’ like the industrial feel that it gives. Now that the bulbs are exposed, as well, it gives off a much brighter and whiter light! No more yellow cast that was so depressing ! 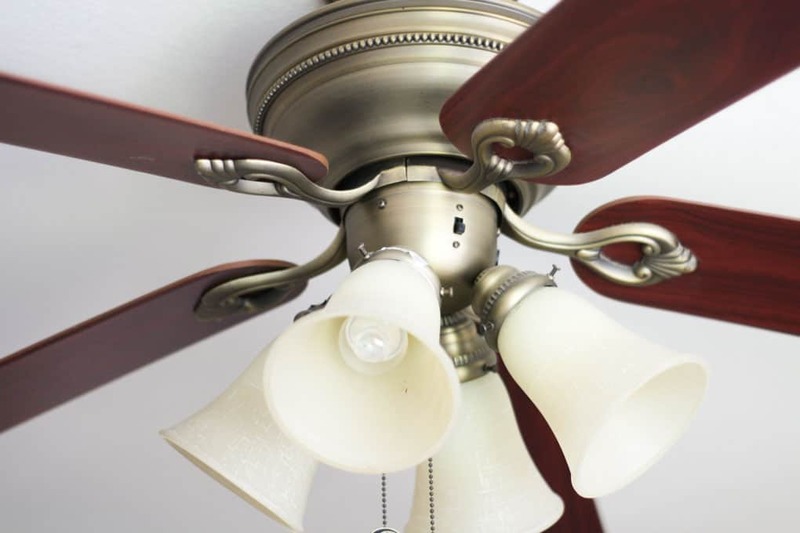 This ceiling fan also has a dimmer, which I would strongly recommend with any light, in any room! 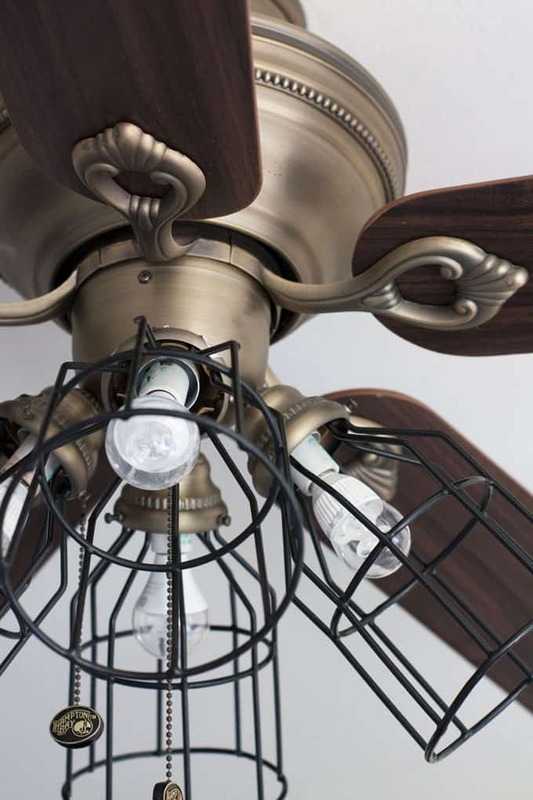 Do you have a ceiling fan that may need a makeover, farmhouse or otherwise? How would you like to change the lighting in your home? Also, I’m thinking about adding at least one more lighting element in this room… what do you think? What type of lamp do you think should I use? As always, thanks for coming by! You all make this so fun for me! I’d love to hear from you! Feel free to leave a comment below! This looks AWESOME! It realrly ties eve4ything together! Well done! What a great update! It really makes a statement and the lighting will be much better! Thanks, Darlene… I’m REALLY happy with it! Thanks for your input during the process, as well! Thanks so much, Nancy! I love it when there aren’t any *real* bumps-in-the-road… right? 😉 So happy you visited! Sleep well, friend! the porcelain unit the bulb screws into; some can be removed ( power off unit) and spray paint black , it would give more of a completed look and you would only see the bulb…. What an amazing look! I love that it is affordable. I have a black fan light so you’ve got me thinking. I just have to find the shade cages. Thanks for the inspo!! Thanks, Darlene! There’s a link in the post for the cages… I found these to be the best price, even with shipping. They have several styles, too! Hugs, dear friend! Great update! I can’t believe you found cages so cheap. Thanks for coming by, Nikki! Yes… I tend to be a real ‘hunter’ for bargains (have to). My open shelving hardware (future post) cost me about 1/2 the price of anywhere else! 😉 Love me a bargain! Loved your gardenia video. You go, girl! Really great idea, Julie! I love the fan’s new look with its industrial shades! 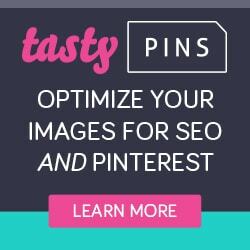 <3 Happily pinning to my DIY Projects. Coming over this week from Blogging fifty ~ fun! I really like that you modified the metal lamp shades. Brilliant!!! Ha ha, pun not intended, really! Have a great week!!! Barbara! Thanks for coming by, and for pinning! (All the hugs!) You going to Haven this year? That is a great transformation. Loving the addition of the metal pieces. Thanks so much, Mary! Yes, the cages are my favorite part, and the biggest transformation. I would like to paint the whole thing, in the future. Have to check with the LL first, though! 😉 Hugs, friend! What an AWESOME idea! Seriously! You are brilliant! I would have never thought of cage lights for the fan! KariAnne… in all your busy-ness… you came by? What the what?! You are an awesome support and encouragement! I really needed this today! Thank you, friend! Hi, Janet! Oh, I would love to see your fan! If you have a FB account, hop on over there and follow My Wee Abode and you can post a pic on my page! Thanks for the comment. Hope to ‘see’ you again, soon! Great make over! I’m sure your loving the new and improved light!! Updating lighting and ceiling fans make such a difference. Glad you came up with a way to do it in your rental. 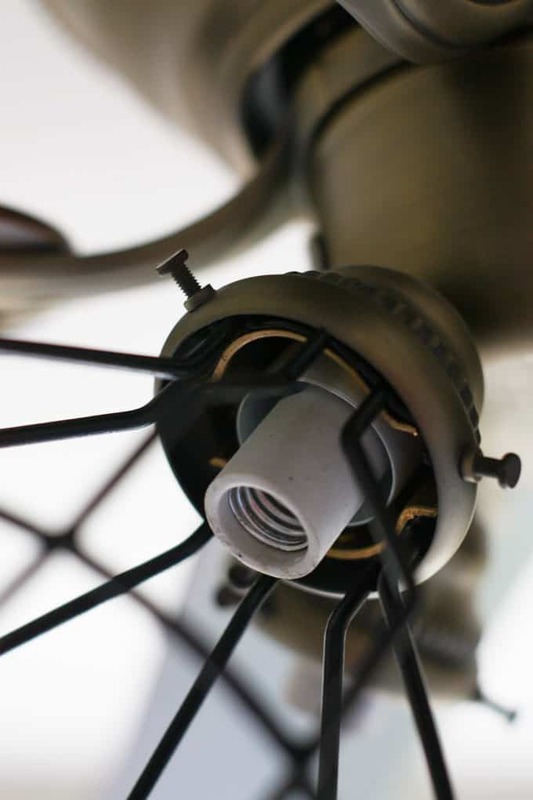 I once replaced 2 light fixtures with ceiling fans in an apartment, kept the old fixtures, then swapped them back out when I left! That was a lot of work, but worth it! Your makeover was much less labor intensive! Equals good job!!! Thank you so much, Nancy! I think I would like to paint the whole thing black, but not sure my LL would appreciate it. I think the ceiling fan in my BR is going to have to be replaced… I just tried to pull the chain on it for the first time, and it pulled completely out of the base! LOL! I need to get if fixed before our So Cal weather turns crazy hot! Glad you visited, friend! Usually, when the chain pulls out there is a little part that can be replaced to fix it. But maybe your landlord doesn’t know that and you’ll get a new fan! Fingers crossed! Thanks so much, Linda! Hoping to update it even more… soon! Appreciate the love, and TFT! Have a great holiday today! Oh, thank you SO much, Marilyn. I appreciate you commenting and letting me know, as well. For some reason, I don’t receive pingbacks… ever. 🙁 Of course I’ll be coming by on Thursday. Again, thank you so much! 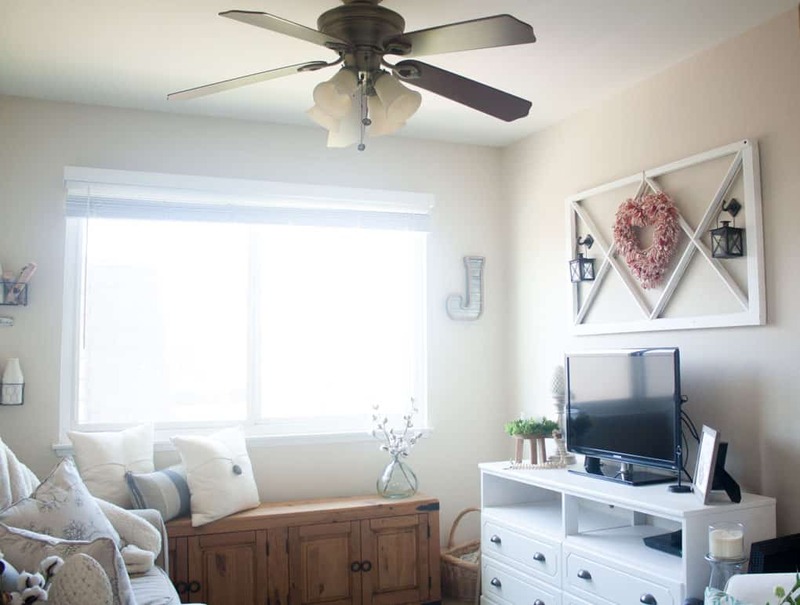 I’m so glad you were inspired by my fan makeover! 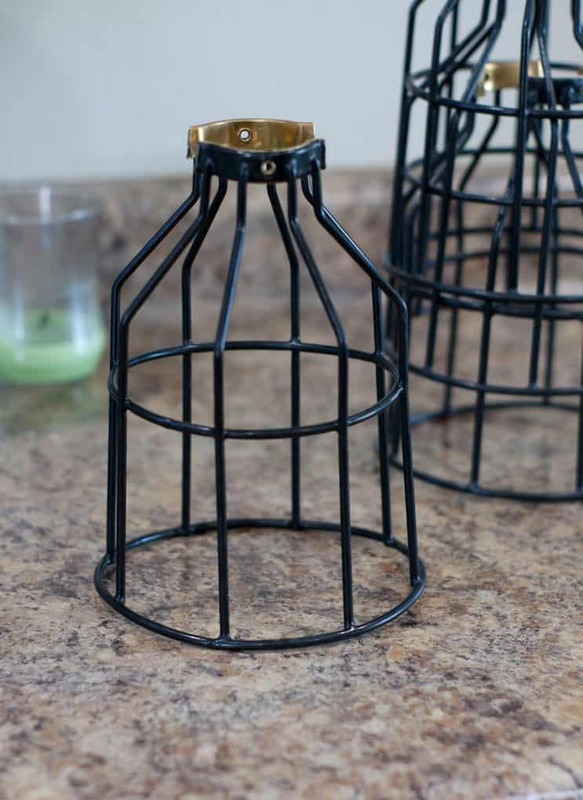 Now if I could only find something similar to replace the shades on my bathroom vanity fixture! I TOTALLY get that!!! I have the exact same dilemma!